This week for the #FeaturedPETeacher section on the PE Central Facebook page, the spotlight is on Austin Berg! 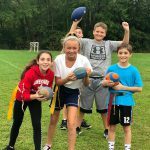 I am the Physical Education Teacher at Gockley Elementary School in the Whitehall-Coplay School District in Pennsylvania. I also teach 4 Computer classes and an Adaptive Physical Education class for Intensive Learning support students. The grades that I teach and Kindergarten and First Grade, and approximately 540 students. 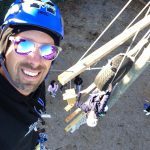 I have been teaching PE in a public school for 3 years. I taught at Kidspeace in Pennsylvania for 4 years and Health at an alternative school in Philadelphia for 1 year. I just finished up the football/target throwing unit. The lesson that I just did for my observation consisted of me hooking up a projector. I created power point slides with various targets. The students had to hit the balls as they appeared and disappeared on the screen. The next slide, the students had to hit the balls in the middle of the hula hoops before they disappear. Then the students would have to hit the disney characters before they disappeared. That was one station. 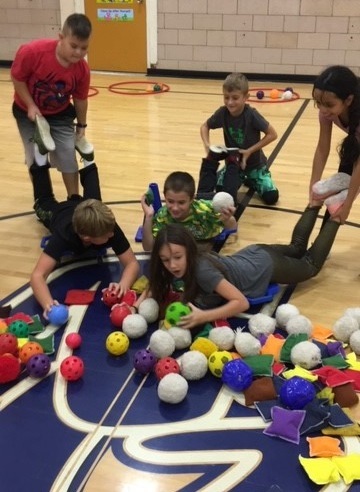 One station had the students throwing a ball back and forth with each other and the other station had the students hitting targets on the wall with the footballs. I want to do something closely to unprecedented as a physical education teacher. I downloaded the seesaw app and I have connected 25 classes. I send videos and pictures to family members so they can see what is going on in class. Where most teachers do this for one class, I am accomplishing the task for 25 classes at one time. 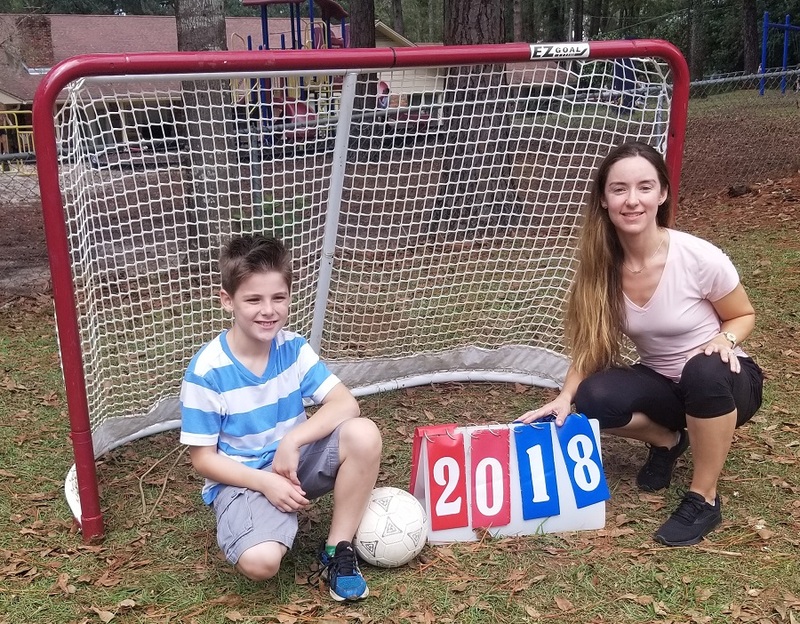 I created an assignment where the students can exercise and participate in sports at home and their parents can send pics and videos back to me of their children doing the sports or exercises at home. I send comments back and forth letting them know how great it is. I am going to give a teacher an extra prep later this year if they have the class that has the most posts of exercises and sports being completed. I am also going to do a burpee challenge this way. So, my focus is to increase the parent to PE teacher communication, but also connect them more to what is going on in their students PE class. My favorite lesson plan is when I do a game called hungry, hungry hippos. I dump a bunch of balls and other equipment around the gym and the students race on scooters to collect the items. They have different point values and then the students work as a team to add up their items. Since I am a K and 1st grade PE teacher, the students abilities vary quite a bit. My favorite moments are when a 1st grader or K students shows an unbelievable competitive spirit in a positive way. It just shows their promise later on. I also love when a student makes great improvements throughout the year because then I get a great sense of personal accomplishment and success. I love when a student comes to gym with such excitement and enthusiasm. It makes me understand why I do what I do. I organize a fitness night that I started this past year. I had 220 people show up for the completely free event. I set up 8 stations throughout our elementary school. The students would rotate the stations with their family members. I had area businesses donate prizes to hand out for awards. I had a raffle and I had volunteers donate healthy snacks for the participants to munch on. I wanted to create an event that the students could play with their parents and siblings in a fun atmosphere during the winter months since it would be too cold to go outside. 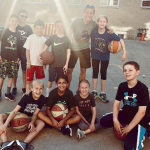 This entry was posted in Featured PE Teacher, PE Central and tagged #FeaturedPETeacher, Austin Berg, elementary school PE, featured pe teacher, PE Central, PE lesson plans, physed, Physical Education by S&S Worldwide. Bookmark the permalink. Cool stuff! Just curious as to where you got targets with hula hoops and characters that would disappear for your power point presentation. That sounds like something my students would enjoy. I used google slides and inserted pictures from there. After I inserted the pics of different hoops, I created animations and transitions for them so that they would slide off of the screen. For the characters, I did the same thing. I inserted a background on the slide and then inserted disney characters. You would need to type in transparent mickey or transparent goofy and look for images that way so that you don’t get the white background. Then I created an animation and transition for them to disappear. It was work, but the students loved it. I am going to add slides for next year. Thank you for inquiring. I took a training on it from PE Central. Hi Austin. I believe you were my student teacher at Resica Elementary School in East Stroudsburg Pa. If not, there is another Austin Berg out there teaching Physical Education. Either way congrats on being featured and for a job well done!!! 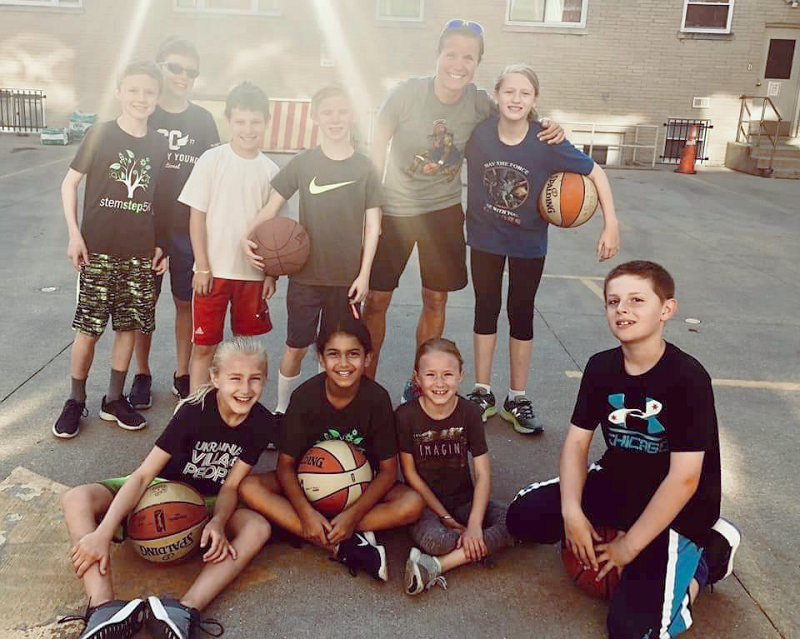 Thank you so much for responding to the featured PE teacher. It took me a long time to get a job, but I jumped into this position about 3 years ago. I hope you are doing well and I could not be happier in my position. I always enjoyed Resica and what you taught me. Thank you again. Are you still teaching? I’m not sure what part of your teaching career you were at at the time.